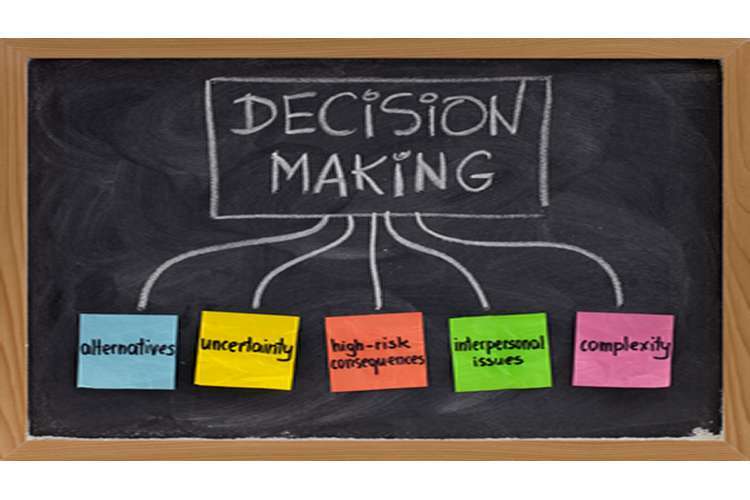 Decision making is necessary for every organization and for proper decision making, certain things are needed such as information and knowledge, without which decisions cannot be made. Collecting information for decisions making system is not a difficult job but managing that information is considered as a tough one. Therefore, various tools are used such as IT system which helps in collecting, storing and accessing information technology and knowledge. After the collection of information, the next step is to provide that information to every department of the organization so that they can take decisions and hence for that purpose, the proper communication process is required. As per the assignment, SPL Limited is being taken into consideration. Star Printers London Private Limited is a London based printing company that prints local magazines, business stationery (such as memos, letter heads and business cards) with a range of diversified commercial interests.The report includes various strategies adopted by the company to survive in the competitive market.Ascompetition is growing in the market so what step the company will take to improve communication, knowledge, information and the use of IT system within the organization. Part from that, the report also includes the strategy that the company will take to assess its internal and external information requirement and how it can be fulfilled in order to have effective decision making. Business, in order to carry out its operation, is required to take decisions at every level of the organization. For example- as competition has increased in the market for SPL ltd, so the company is required to take some necessary decisions in order to keep its brand image in the mindset of the customers. Planning helps in transforming values into action by providing guidance to the decisions. At the time of emergency, the decision maker can take decisions by looking into the overall plan. As resources are limited so as budget and time therefore, planning helps in utilizing the scarce resource in an effective manner thus providing more benefits to the company. Planning can also be used as a measurement toolas it showswhether we are on the right track or not and if not then necessary actions can be taken against it. The range of decisions that are needed to be taken includes strategic decisions followed by tactical decisions which later splits into operational decisions. Strategic decision: -These decisions are long-term decisions and are taken by senior managers of the company. These decisions are made by keeping in mind about the organizational objectives. It involves large sum of money and helps the managers to solve various strategic issues thus providing growth to the business. These decisions are related to the environment in which the company exists (Nutt and Wilson, 2010). Tactical decision: -These decisions are taken by senior or middle managers of the company and it can have medium-term impact on the business. It involves limited resources and here, the manager’s monitors, collectsand takesdecisions and administrative activities. These decisions are made taking into consideration the welfare of the employees of the company. SPL Limited can use these decisions to stop its employees from leaving the company (Nutt and Wilson, 2010). Operational decision: -These decisions are taken by middle or first line managers of the company and it can have short-term impact on the business. It involves more limited resources and here, the managers keep a record of elementary activities and transaction which are taking place in the organization for decisions making system. These decisions are made taking into consideration the company’s production and growth.These decisions are made on a daily basis relating to its day to day operations. SPL Limited can use these decisions to adopt various strategies to get its position back in the market (Nutt and Wilson, 2010). The information and knowledge needed for effective decision taking. In order to have effective decisions, the company requires having many things such as information and knowledge. Information is a key necessity for effective decision making and the information should be reliable and qualitative in order to have best results. Apart from this, the information and knowledge should also be up to date as the business world changes rapidly and a small change can create a big difference. For effective decision making, the company should also know about its competitors i.e. their strategies etc. as due to heavy competition, it is assumed that SPL Limited is going to have loss both in case of profit and staff so there is a greater need for the company to know more about its competitors (Kourdi, 2003). Internal and external sources of information. There are various sources from which a company can derive information and data but the main challenge is to derive the reliable and relevant information. The sources of information that is required for decision making can be internal information and external information. 1. Financial information: - It includes information related to the profit and loss of the company, cash flows, costs, investment etc. Accountant monitors this information and determines whether the company has the capability of generating profit or not. Accounting records of the company are the main source of information as it shows the company’s day to day transaction which helps in future planning. 2. Marketing information: -This information is needed to evaluate which product of the company is mostly appreciated by the customers. This information can be derived from various departments such as sales. It can also be collected from external sources. This information helps in keeping the customer more satisfied and happy. 3. Purchasing information: -This information is being collected by the purchasing department. The department purchases all those products which are needed by the company to carry out its day to day operation such as computers etc. The department is required to monitor the cost and quality of all purchased products to make sure that they get the best one which will help in earning profit for the company. 4. Sales information: - These information are related to the performance of the company, its distribution channel etc.the sales department monitor the product that the company offers to the customer. For example- as due to excessive competition, the sale of SPL Limited is decreasing therefore; this information is required to pass to the marketing department to watch if launch of a new market campaign would have any impact on the sale of product. 5. Personnel information: - This information isrelated to the employees of the company. It helps in knowing how much an employee has worked for the company. The company should have relevant information regarding the employees for health and safety reasons (Axelrod, 2004). 1. Government: -This information is reliable in nature as it is provided by the governing body within which the company operates. The company must collect legal information which is necessary to run the business successfully. 2. Research: - The information derived from research are more valuable as those are more accurate and reliable. 3. Trade groupings: - Trade group means a group of business which trade within the same sector. Therefore, trade grouping helps in deriving information which is necessary to carry out the operations (Axelrod, 2004). In order to take effective decisions, the company needs to have some appropriate sources through which reliable information can be collected. Collection of internal information is not a tough job but external information needs more attention. Therefore, some sources such as market research, suppliers, customers, distributors etc. should be used by the company. Stakeholders are those who have strong interest in the company. The types of stakeholders neededfor decision making process can be internal and external. 1. Internal stakeholders are those who are engaged directly with company in economic transaction. For example- In SPL Limited, the internal stakeholders can be customers, creditors, suppliers and employees. 2. External stakeholders are those who contribute their views and experience in order to solve issues that arise in the company.For example- In SPL Limited, the external stakeholders can be business support group, community, and general public. They are important for development of business relationships. It also helps in increasing the credibility of the organization and thus increases the chances for the company to get success (Friedman and Miles, 2006). 1. Meetings: -This is the most common method which varies from one person to thousands. This method avoids misinterpretation. 2. Email/ Newsletters: -This is a one way communication but it includes one drawback i.e. nothing can be done if the receiver deletes the message and did not even gives feedback. It cannot be assumed whether the receiver had read and understood that message or not. 3. Voice mail: -This more appreciable than email as email is required to be read whereas it is listened. 4. Sporting events: -Sports like tennis, golf etc. are an easy way to build relationship with the stakeholders (Schultz and Doerr, 2009). Those identified in the decision-making process are appropriate as the involvement of stakeholders makes the effort more valuable. Stakeholder carries in-depth knowledge management and resources that can be utilized for effective decision making. Stakeholder allows transparency which leads to increasing credibility of the company. Partnership helps company to strengthen its position and attract new customer and it is mostly required in case of SPL Limited. As SPL Limited was having problem due to increasing competitors so there is a need for the company to regain its position in the market and by using stakeholder in its decision making process it can achieve that (Forrest, 2009). Identification of problem that is prevailing in the company i.e. in SPL Limited, more competition has increased in the market. After the identification of problem, the next step is to develop thegoals or objectives for example- how to solve conflicts in the company, how to develop products etc. Identification of goal helps in making plan and hence it helps in taking effective decisions. Then the next step is to choose from various alternatives and choosing the least risky process is necessary. Then decision is needed to be taken and it should be done with full confidence as earlier the problem was discussed and all information are being taken into consideration. Then the implementation of decision is being carried out. Check the results of the decision and determine if necessary are needed to be taken. It is believed that even a good decision needs improvement and it can be done with small adjustments on the basis of feedback (Adair, 2010). An organization can survive in this world only through communication between the employees and the customers. The organization may come to an end if the communication process in the organization is not proper. The messages inside the organization flows through this communication process. The communication is carried out through series of steps through which the employees communicate with the organization. There are two types of communication process they are formal and informal communication. Through these two processes the communication between the employees is carried out in the whole organization (Barker and Yazdani, 2000). 1. Formal communication:-Proper channels are used in the formal communication process so that properly information could be flowed through the different levels of the organization. The formal communication comprises of downward communication, upward communication, and lateral communication. Upward communication is carried out between the juniors and the seniors for example the middle level employees communicate with the top level decision makers. Downward communication is carried out between the senior level decision makers and the junior level management. And the lateral communication is carried out between the same levels of the management. 2. Informal communication: - This communication is not used for organizational information. It is used as a free communication medium. Here the information is flowed ‘through the grapevine’ i.e. when the information flows from employees to employees the information get distorted at the end and remains no more reliable. This means to be the fastest mode of communication but it remains no more reliable at the end. Some of the other means of communication includes telephone, e-mail, fax, etc. Through e-mails short text messages can be delivered within the organization. Fax is also used by the organizations to communicate information. 2. Handle communication problems: - The communication problems that arise should be resolved quickly. In order to resolve the problem the organization need to have employees who can overcome quickly the problem and make the organization have an effective communication (Barker, 2010). 3. Make important messages repetitive: - The important messages should be repeated again and again so that the employees would be able to give efficient results. 4. Multiple channels should be used for organizational communication: - The messages should be communicated in different channels so that the communication would be effective in the organization. Channels like face-to-face conversation, e-mails, fax, telephonic conversation, are the different channels that would make the communication more effective (Barker, 2010). The approach towards the greater integration of communication in the organization is that the organization would adopt an organizational process development. This organizational process development would show that how the members of the organization are executing their duties. This set a standard way of things to be done in the organization. If an employee fails to do or in understanding its duty then the process will help them to carry out the duties easily. So through this the entire functions are integrated and the communication is effective in the organization (Laar, Tretmans and Borth, 2013). The communication skills of our own can be improved from executing these following plans. Listening skills should be enhanced by patiently listening to others words. The motto should be talk less, hear more. Reading newspapers, magazines, books, etc. will help to increase the communicating skills. Using gestures and making the whole body talk will help to communicate more and in effective way. Feedback should be given at the end so that the communication would become more effective as feedback is the integral part of the communication (Kehoe, 2011). 1. Oral media: - Oral means communication through mouth and face-to-face. Every organization uses this type of media commonly, in order to communicate in the organization. Through this the communication is more effective as the message is point out directly face-to-face and also the receiver is able to observe the body language of the communicator. And also the feedback is given directly. When the decisions are made quickly this media is more effective. During presentations also this oral media can be used. 2. Electronic media: - In this modern technology, the electronic media is one of the important mode of communication in the organizations. The electronic media comprises of email, fax, telephone, video, etc. Through the electronic media the communication become faster and efficiently and also the feedback is given immediately. Even if the individual is not in the particular place the communication can be done through the electronic media. There is never absenteeism in the electronic media. It can be accessed any time from any place of the world. It also helps to operate business globally and also helpful for them who do not remain touch with each other throughout the year. 1. Collecting data: - The data in the organization is collected by the volunteers who are involved in the task. And the personal values of the volunteers highly affect the data collected. There should be an unbiased collection of data and in order to do that the personal preferences in data collection should be eliminated in the organization. A policy should be adapted for data collection. This process would help in the unbiased collection of data. Training should be provided to the volunteers on the process of collecting data that is required as per the task without taking into account the personal preferences. Through including these activities the collection of data would be unbiased and high valued. This data would help the decision makers in deciding important matters regarding the success of the organization. 2. Formatting information: - Formatting information means converting the information into a standard format by excluding non-value adding information. Since many of the organization do not have a standard format of data collection so this in introduced to many of the organizations in order to provide a format to standardize the process of data collection. The formatting should be done in order to keep the data precise and short so that the storing area is not captured more. 3. Storing information: - The internet provides various facilities that should be used by the organization in order to gain some opportunity i.e. internet has various file sharing systems that is known as document clouds available online. The data of the organization can be stored in the form of versions. Two examples of this system are Dropbox and Google Docs. When the documents will be updated in the computer the online data base also gets updated and this becomes easy for the organization to take back up of the documents. 4. Dissemination: - As the data are stored in the document storing platforms by the organization similarly the information dissemination is also made easy by the above recommendations. Any volunteer can log in to the system, get the data and continue working, even if there is a change in the volunteer. The files can be accessed from anywhere Pcs, mobile phones, laptops, etc. this is allowed by the file sharing platforms. This process makes the dissemination easy as the organization can access the information from anywhere and at any time. Strategy to access to systems of information and knowledge. The access can be done through anywhere and at any time through the internet as the documents are stored online in the online file sharing cloud. The organization can also have confidential information in the storage so the organization should put control in its access by introducing a password system to the folders that are available in the internet. The volunteers who will access this would be provided with the passwords and preventions should be taken for the unauthorized access of information. Through this process the data would be provided to the right person at the right time and also avoiding the unauthorized access of data (Biasiotti and Faro, 2011). From the above discussion about the project it is concluded that the information and the knowledge needs are to be assessed in the following ways it is discussed above. The project focuses on the range of decision that is to be taken and also the information and knowledge are examined that are needed to make effective decisions in the organization. Strategies are created to increase personal networking so that the decision process gets widen. Relationships are built with the state holders through effective communication. Improvements are done in the strategies in order to have an effective decision making by identifying the stakeholders. The communication process is also developed, as some changes are made on the communication process. The improvement in the approaches of information collection, formatting, storing and dissemination is done by making some changes in the approaches that should be applied by the organization in order to put the data safe and more effectively used by the company. 1. Adair, J. (2010). Decision making and problem solving strategies. London: Kogan Page. 2. Axelrod, C. (2004). Outsourcing information security. Boston: Artech House. 3. Axelrod, C. (2004). Outsourcing information security. Boston: Artech House. 4. Barker, A. (2010). Improve your communication skills. London: KoganPage. 5. Barker, P. and Yazdani, M. (2000). Iconic communication. Bristol, UK: Intellect. 6. Biasiotti, M. and Faro, S. (2011). From information to knowledge. Amsterdam: IOS Press. 7. Forrest, J. (2009). Evidence-based decision making. Philadelphia: Lippincott Williams & Wilkins. 8. Friedman, A. and Miles, S. (2006). Stakeholders. Oxford: Oxford University Press. 9. Kehoe, D. (2011). Effective communication skills. Chantilly, VA: The Teaching Company. 10. Kourdi, J. (2003). Business strategy. London: Profile. 11. Laar, P., Tretmans, J. and Borth, M. (2013). Situation awareness with systems of systems. New York: Springer. 12. Nutt, P. and Wilson, D. (2010). Handbook of decision making. Chichester, West Sussex, U.K.: John Wiley. 13. Schultz, M. and Doerr, J. (2009). Professional services marketing. Hoboken, N.J.: John Wiley & Sons.